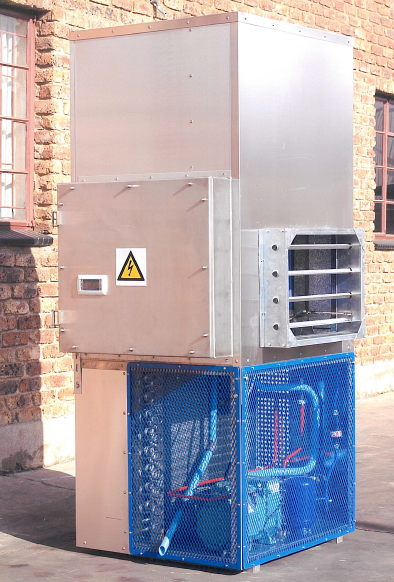 The Rand Series 2006-4 Series HVAC System was designed to exceed National and International Specifications for use in Analyser house (shelter) applications. Low pressure cut out and alarm via the pressure transducer. Extreme low pressure cut out will initiate and will stop the compressor via the low-pressure switch. High pressure cut out and alarm via the pressure transducer. Extreme high pressure cut out and alarm via a high-pressure switch. Fan motor thermal overload relays inside the controls distribution board will disconnect the power supply to the fan motors in case of a fan motor failure. The compressor motor is fitted with thermal cut out protection inside the motor winding. Should the compressor motor winding temperature exceed safe limits, the power supply to the compressor motor will be switched off. Frequent compressor starts are limited by the PLC timer function to 5 minutes after every stoppage. A loss of pressure inside the distribution board on Ex e units will disconnect all power to the unit. Circulation is stopped in the event of a gas leak inside the analyser house, and only fresh air will be allowed to enter. The Series 2006-4 HVACs are available in two different versions namely General Purpose and Zone 2. All versions are fitted with a fully field repairable compressor. 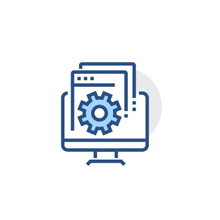 Two forced ventilation/circulation air motors run independently and swap around every 24 hours to ensure both are operational during running conditions. These motors can conveniently slide out of the HVAC unit for maintenance and repair purposes.